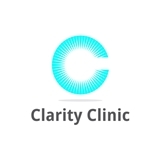 Clarity Clinic Arlington Heights (Arlington Heights) - Book Appointment Online! Clarity Clinic specializes in adult and pediatric mental health services. Our experienced therapists and psychiatrists offer the latest advances in medication treatment and psychotherapy services. We will help guide you in your journey towards mental wellness and achieving a balanced lifestyle. Was nervous in seeking out a therapist but felt comfortable speaking with Chad - he was calm, gave me great suggestions and very open minded and collaborative in his approach. Great clinic - professional and very pleasant environment which is important in a first visit to a mental health provider. Ginny provided me great feedback and I am already looking forward to my next visit!